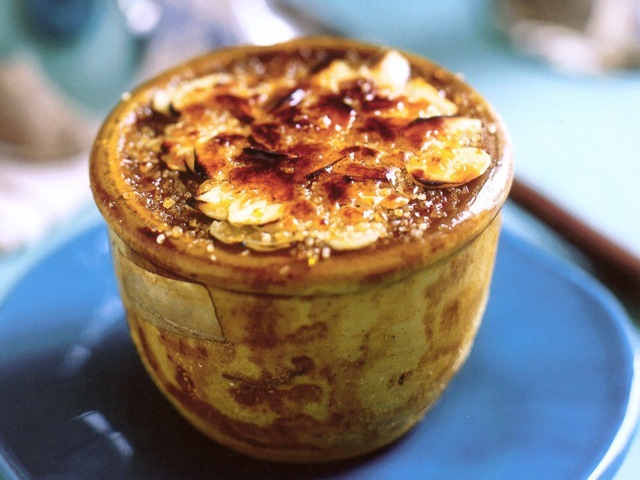 Simple and rich, the silken custard and caramelized crisp topping of crème brûlée have made it a beloved and classic dessert. Most of the recipes in Crème Brûlée, by Lou Seibert Pappas, call for just four ingredients plus flavorings. Naturally, the book focuses on classic, fruity, nutty, boozy, and chocolaty sweet treats. But there's also an entire chapter on savory baked custards, including puddings made with cheese, vegetables, rice, and fish. p(blue). That's it — you've entered! (All entries must be made between Friday, January 16, and noon PST on Friday, January 23, 2008.) Check back each Friday for a new drawing announcement and chances to win new prizes. p(green). Special for this week only: come back each day after noon (PST), between Saturday and Thursday, and queue an additional recipe — either from this featured book, or from elsewhere on Culinate — and you get an extra entry for that day in this week's drawing. p(blue). Winners will be announce here once selected and confirmed. You still have a chance to win; check out the most recent Cookbook Friday drawing.